This is the shocking a moment a man uses an open flame to give himself a 'hair cut'. 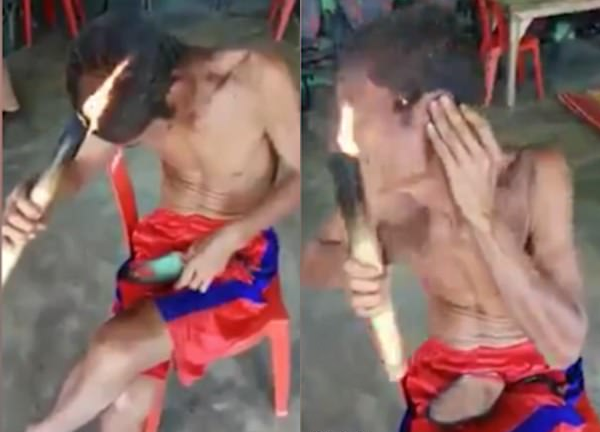 The mystery man, believed to be filmed in Brazil, takes an open torch and moves in around his head in the hope to trim his locks. 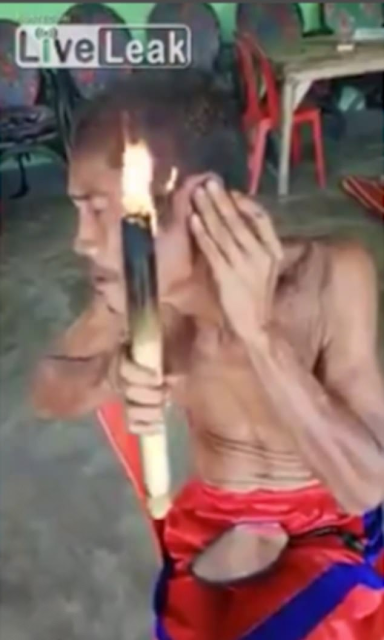 In the footage, posted on video-sharing site, LiveLeak , the unknown man covers his ear before moving the torch around his head. Another pic after the cut.